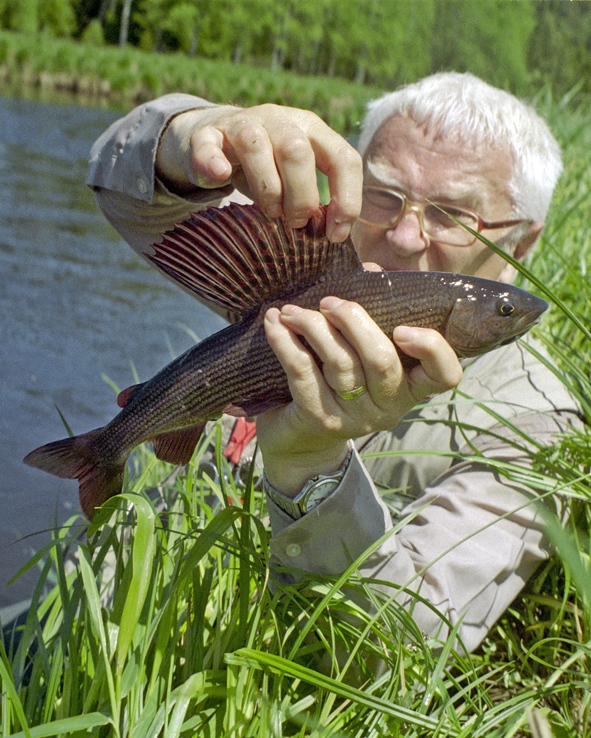 The fly-fishing courses were originated by the Dutch keen fly-fisherman Robert Borrenbergs in 2003 as the Czech Nymphing Masterclasses. 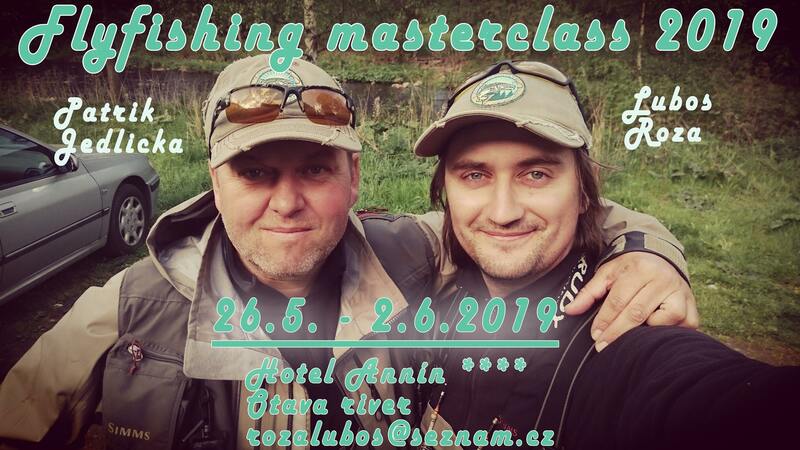 Since 2007, Masterclasses had taken place in South Bohemia in the historical town of Rožmberk nad Vltavou and they have been organised by Robert Borrenbergs, Karel Křivanec and Milan Hladík in cooperation with Jiří Klíma, former captain of Czech fly-fishing team, as “the Master”. Since 2012, the event has changed a little, we have a new organisation team, new schedule and also a new title. But the main spirit has remained the same: a lot of fishing and friendly atmosphere. From June 2016, the base of the workshop moved to Penzion Herbertov located just on the bank of Vltava River in one of the best fly fishing spots in the area. More than 250 participants from 14 countries from all over the world have attended our fly–fishing courses, in particular we have hosted fishermen from England, Scotland, Ireland, Germany, Belgium, Austria, Hungary, Netherlands, Switzerland, Finland, Norway, Sweden, USA, Canada, Japan, South Africa and Australia. We welcome both leisure fly-fishers and top competitors, the beginners and the advanced, and their personal references are the best promotion for this unique fly – fishing event. - You will learn different types of nymphing techniques, in large and small rivers, with heavy and light nymphs, short and long rods, with classical Czech and modern French-nymphing setup. 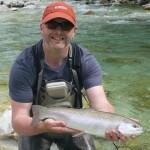 - Lectures in fly-fishing and fly-tying, 5 whole days fishing with assistance by top Czech fly-fishermen. - Czech state rod licence, fishing permits, information materials and map of fisheries, T-shirt. 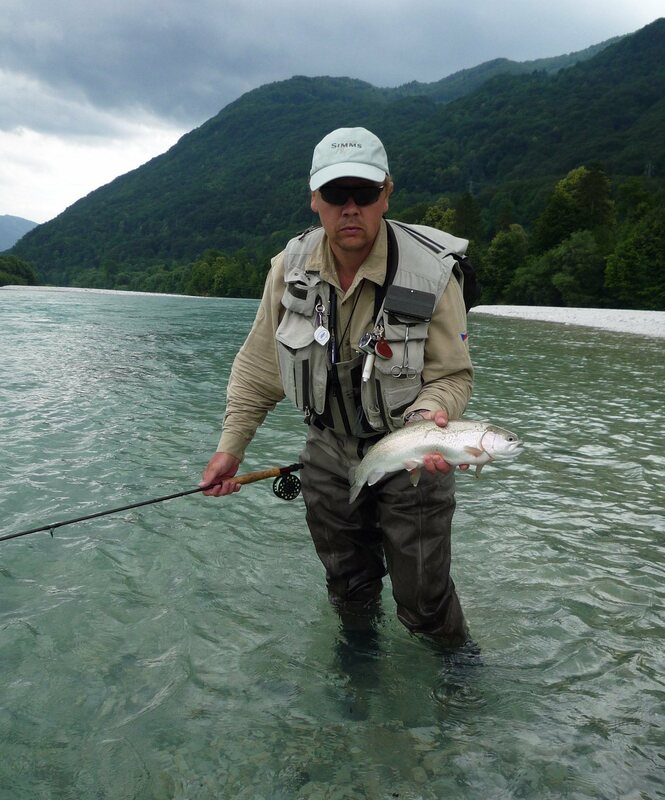 The workshop is kept in English, but we speak basic German and member of our organisational team is keen German fly fisherman Rudi Kopf. Maximal number of participants is 20. Mid June is great time for fly-fishing because of long days and sedge hatch, which belongs to the peak of the fly-fishing season in the Czech Republik, small disadvantages are a little unstable weather and bigger canoe traffic on the Vltava river. But we fish early morning and late evening and during the day we fish smaller rivers like Malše or Vltava in Devils stones. September is also a great month for fly-fishing because of starting hatch of olives and whole day rising graylings, usually stable weather and less traffic on the river. Shorter days and longer evenings offer more time for speaking, fly-tying, resting and beer. 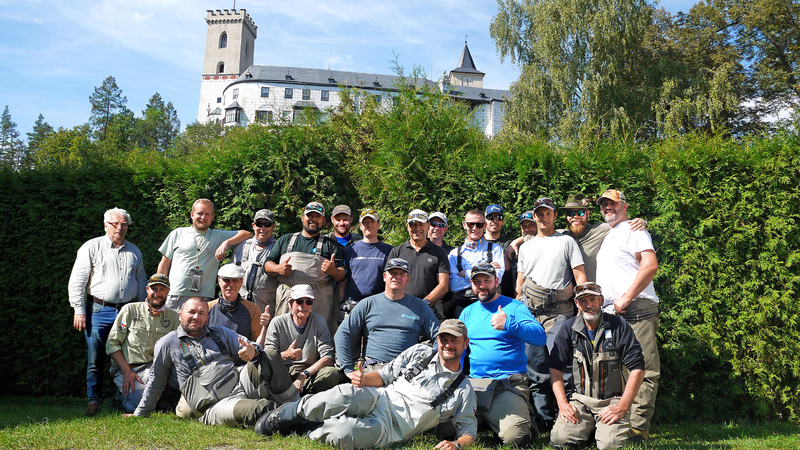 Participants of CNFW can moreover compare their skills with the top Czech anglers during local fly-fishing competition called “Rožmberský cup” held in the middle of September or during Hanak Open competition in the last weekend in September. Vltava river is full of stocked rainbows in good size before the Hanák Open competition, which is ideal situation to practice different nymphing techniques and to test your tackle and leaders. All participants stay in Penzion Herbertov located just on the bank of the Vltava River close to the best fly-fishing spots. Penzion has the best location for fly-fishermen in the area. Penzion used to be a student hostel, so the accommodation is a little simple, but all rooms and restaurant has been recently renovated. Penzion offers accommodation in double-rooms with separated beds and apartments composed by two double-rooms with one common toilet. In the second floor is located lounge where will be fly tying clasroom and Karel´s shop. Breakfast is served from 6 a.m. according to our request. Lunch we usually have at river (lunch packets) or in local restaurants. Dinner is served in Penzion Herbertov, in June at 6 p.m to be back at river for evening hatch in time, in September at 7:30 p.m. to be at vice and in pub in time :-). In penzion is small bar for guests. The basic equipment for CNFW are two rods, for smaller river is the best fine rod in the length of 9 ft and size 2-3 and for bigger rivers a little stronger rod 9-10 ft # 4-5. We cooperate with Hanak Competition Company, the recently developing Czech company focused on fly-fishing and offering its own products tested by top Czech competitors as well as products of the world well known producers like SAGE, SIMMS, AIRFLO etc. During CNFW you can also personally test and buy Hanák´s products it in the affordable price. During CNFW, it is possible to buy all fly-fishing and fly-tying equipment in our small mobile shop. You can test your favourite flies from your home water, you can tie flies according to our best patterns or you can buy flies in our selection prepared specially for the CNFW. Fisheries Vltava 27 and Vltava 28 are large river venues and they are famous for their high density of natural brown trout and stocked rainbow trout of a good size followed by grayling and coarse fish. 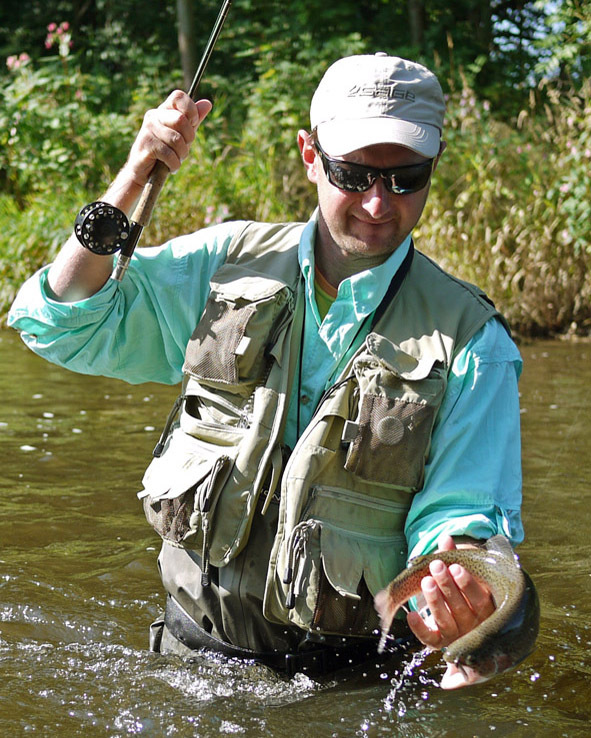 Deep wading is good experience for every fly-fisherman. Fishery Vltava 29 P is a beautiful piece of natural countryside located in the pristine valley of the Vltava river just under the dam of Lipno reservoir. The river is characterised by large boulders and hefty native population of brown trout. The upper section is the trophy water with bigger brownies and it is also stocked with brook trout of a good size. 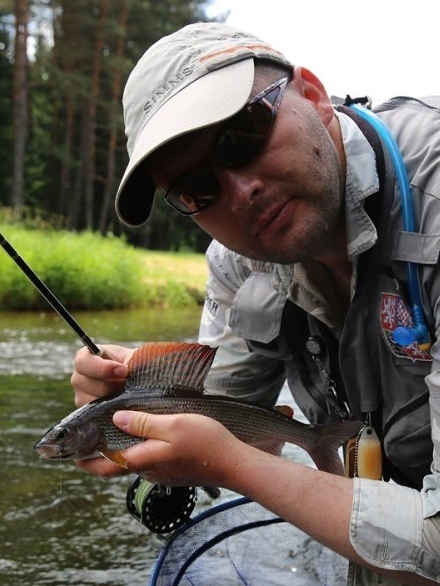 Fisheries Vltava 33 and Vltava 34 are located above Lipno reservoir in National Park of Šumava and they are some of the best grayling fisheries in the Czech Republic. Malše and Černá (Black) rivers are beautiful smaller rivers flowing through a wooded valley and hosting good native populations of grayling and brown trout. 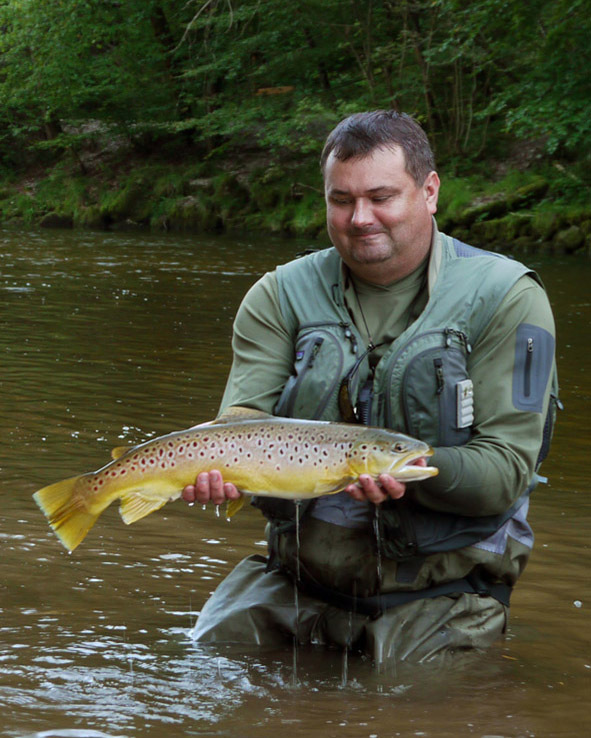 Vltava 24 is trophy water established in 2010 and stocked mainly by rainbow trout in weight 1-4 kg and brook trout. Fight with these strong fish on nymphing rod is good challenge for everybody. There is also good population of coarse fish and chub over 50 cm and barbel over 70 cm is not rare catch as well as decent pike, perch, ide and asp. Workshop is organised by Milan Hladík, Jiří Pejchar and Karel Křivanec and we also cooperate with keen fly-fishermen Rudi Kopf from Germany, Stephan Allacker from Belgium and Ben Bangham from UK. 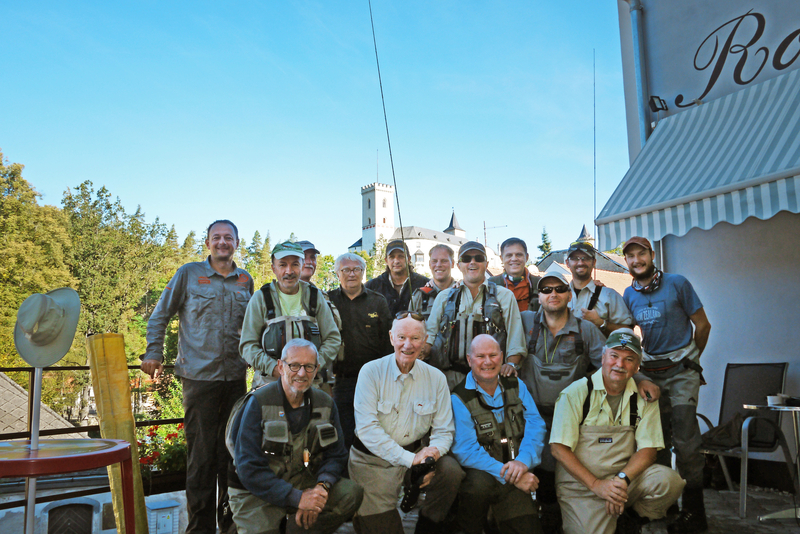 As guides we invite present top Czech fly-fishermen including members of Czech “A” team for World Fly-fishing Championships. Team is wider and concrete composition is built for every workshop according to number of participants and available time of individual members of the team. All guys are great fly-fishermen with local knowledge, they are our old-well-tested friends and they speak at least the basic English. High quality of fly-fishing and friendly atmosphere are the most important things which we are focused on. Head of the organisational team. I work as expert for Ecology, Ichtyology and Hydrobiology at a private water management company called “Water Management Development and Construction joint stock Company”. I mainly focus on building of fish-passes. As a part time job, I work as the Fisheries Manager at the South Bohemia Board of the Czech Angling Union. I have extensive experience with organisation of fly-fishing events: every September I organise annual international fly fishing competition called Hanak Open, the most important experiences for me were the 17th European Fly-Fishing Championship 2011 and 34th World Fly-Fishing Championship 2014 which I managed as the International Organiser. Since 2007 I have assisted with the organization of the Czech Nymphing Masterclasses, in 2011 I overtook the organisation of the event and changed the schedule and title and started cooperation with my best friends and fly-fishing personalities. I collaborated with Karel on his book about Czech Nymphs, I made the majority of pictures. As the active fly-fishing competitor I focus more on local and friendly competitions, I fish the First Czech Fly-Fishing league with my friends in Team Hanák Competition. Although I prefer fishing in rivers, my personal best competitions results were 2nd place in the Czech lake fly-fishing championship 2010 and I also achieved few placements on the stage at lake boat competitions in England. Recently I was the best individual competitor in the Second Czech League 2010, third in Rožmberský cup 2013 in Vltava river, and finally first in May cup 2014, 2015 and 2016 and third in Hanák open 2014 both held in Květoňov lake. Member of a recent Czech fly-fishing team, currently No 1 in the Czech competition ranking, European individual champion 2015, winner of many competitions including Czech lake championships and Czech river championships. He finished PhD. thesis at Mendel University Brno aimed on macrozoobentos in freshwater environment. He spent two years in New Zealand as a professional fly fishing guide. Recently he works at the Ministry of Agriculture of the Czech Republic in the department of angling. Roman comes from south-bohemian town Strakonice and except of great fly-fishing skills disposes of great local knowledge, speaks good English recently with slight NZ accent . Individual European fly-fishing champion 2009, individual World fly-fishing champion 2010, important member of Czech team which brought gold medals from eight from last ten World championships, winner of many local competitions. 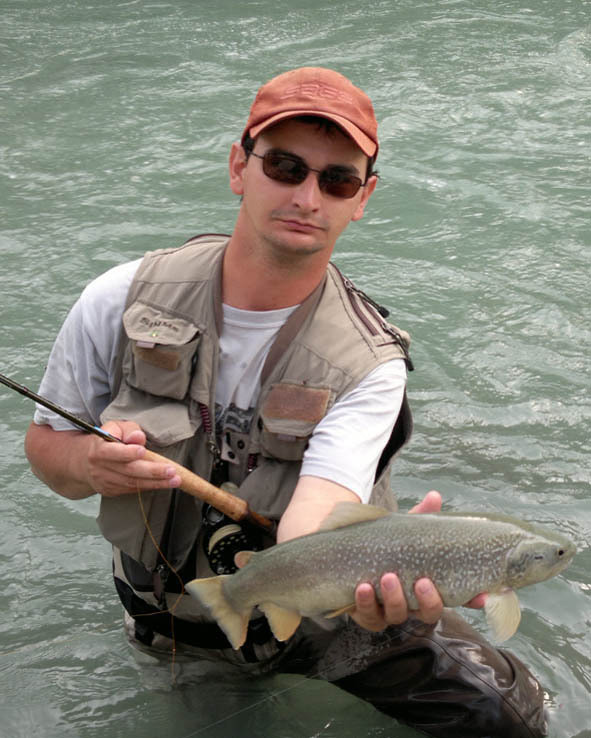 Pavel as other colleagues is complex fly-fisherman and he is known for his gentle nature and patience. In the closing banquet after WFFCH2014 he presented also great dancing skills. He works in a construction company in Prague. Owner of Hanak Competition company. 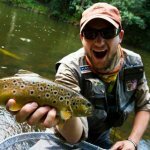 Franta is an active competitor, he has been many times member of the Czech team, he has won with his friends twice Grayling festival in Wales and he has also achieved several great results in lake boat competitions in England. I fish with Franta and his brother Pepa in Hanák team the Second Fly-fishing league in Czech. Franta built the company with his two brothers and nowadays it is one of the most important and still developing fly-fishing shop in the Czech republic, they focus on production and developing of own fly-fishing equipment. Hanak Competition becames a well-known brand connecting acceptable price and a high quality tested by the top Czech competitors. His company supports in long-term Czech fly-fishing team and fly-fishing competitions and promotes modern approaches in all kinds of angling. 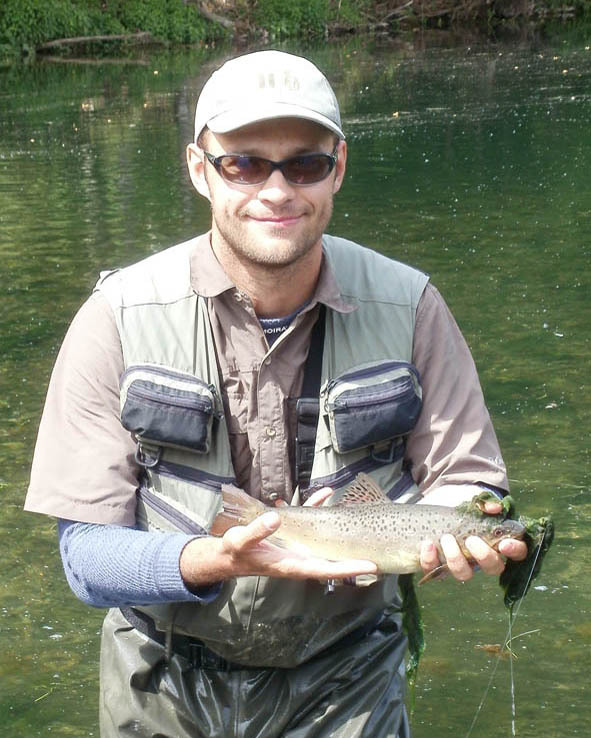 Michal is local fisherman with great knowledge of our rivers, he fishes 1.league in Czech. As he works in Bosh, he speaks fluent German and also understand English. He likes fishing in Slovenia and Austria and he has also visited Norway and Finland with his Finish friends. I fish with Michal lake competitions for couples and we delightfully complement each other, if one is fishing well, second one is groping … and therefore we did not win anything yet . Martin studies “Fishing” at the University of South Bohemia, what a great specialisation, he is complex fishermen and spends a lot of time by fishing different angling methods, find him at Facebook. He fishes Czech first fly-fishing league in Team Hanák and he is double World Champion in Youth category. As he is from South Bohemia, he has great local knowledge.